The German mining company MIBRAG mbh supports Niclas Lindemann with the `Deutschlandstipendium` (National Scholarship) since September 2018. Niclas Lindemann, 25, studies the full-time M.Sc. at HHL. In addition to his semester abroad in Bangkok, the National Scholarship enabled him to complete an internship in Shanghai, and to experience the Chinese culture in all its facets. “The Mitteldeutsche Braunkohlengesellschaft mbH, MIBRAG, creates sustainable economic, and social value in Saxony-Anhalt, Saxony and Thuringia thanks to continuous investments in modern technology,” says Steffen Redlich. “For MIBRAG, this also includes the promotion of qualified training and long-term economic performance. 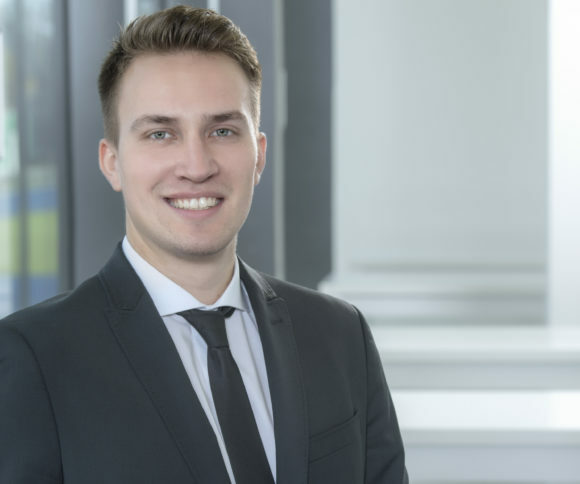 With the National Scholarship at HHL, MIBRAG supports the business managers of tomorrow,” says Steffen Redlich, HR Development and Vocational Training at MIBRAG. What was your motivation to apply for the National Scholarship? Niclas Lindemann: “I was very surprised about the uncomplicated application process for the National Scholarship, so my application ended up being rather spontaneous. In addition, I was attracted by the political and religious independence of the scholarship; the only requirement was to be enrolled in a university. Which projects or internships have helped you on a professional level? “The Accelerate@HHL conference was certainly the best “project” that could have happened to me. I still remember the kick-off event during the first weeks of my studies at HHL. The idea of linking students with founders and investors, as well as with startups and other companies, I thought was very exciting right from the start. With a small group of students, we have set up this event completely on our own – and from my point of view it was a great success! Looking back, I learned a lot at Accelerate@HHL. On the one hand, the organization of the conference was a great challenge in addition to my studies, as we had to plan many things down to the smallest detail under strict time con-straints leading up to the conference. On the other hand, Accelerate@HHL was also a great opportunity to expand my network, because during the organization we were in contact with a lot of entrepreneurs, investors, startups and partner companies. Above all, it was nice to see how large and familial the HHL network is and how closely our alumni are still connected to the school. In addition to the Accelerate@HHL project, I also had the opportunity to complete various internships during my studies at HHL. Since I decided to spend a semester abroad in Bangkok, I was able to stay in Asia and complete my first internship there. I flew to Shanghai to work for a small startup called Ginmon, a FinTech or RoboAdvisor from Frankfurt, which recently opened an office in Shanghai. Since I am very convinced by their business idea and was already part of the team in 2017, it was very easy for me to decide to work together again with my colleagues. This internship gave me a lot of exciting insights and professional experience. Further, I really enjoyed Shanghai. I was able to travel a lot during the weekends and gained interesting impressions of the Chinese culture. How has your experience at HHL supported your career? “Looking back, it was exactly the right decision for me to complete my Master’s at HHL, because no matter which career path I will choose after graduation, I am well-prepared for it. In addition to developing my professional expertise, I was able to improve many skills, such as prioritizing and self-organization. Also, the fact each class consists of about 40 students is a great advantage. It allows us to maintain good communication and contact with each other. This naturally led to the establishment of close friendships, which I would not want to have missed.